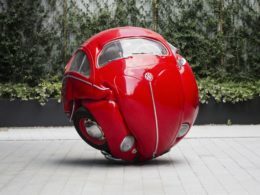 He is famous with sculptures and large-scale works he created by reinterpreting original parts of 1953 VW Beetle. 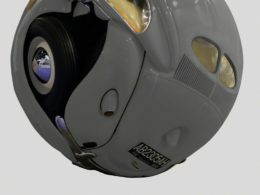 He participated in variety of international exhibitions and received the Best Artwork Award in Indonesia Art Motoring: Motion and Reflection organized at the National Gallery of Jakarta, 2011. Noor teaches at the Yogyakarta University Faculty of Fine Arts. Ichwan Noor’s (b. 1963, Jakarta, Indonesia) studied in Indonesian Institute of Arts in Yogyakarta. Among Noor’s selected solo and group exhibitions are Taman Budaya Yogyakarta (1995); Patung 2000, Taman Budaya Yogyakarta (2000); Alam Hati Kecil, Edwin’s Gallery, Jakarta (2002); Sculpture Expanded at CP Art Space, Jakarta (2005); Manifesto Exhibition, National Gallery, Jakarta (2008); In Rainbow, Fine Art Exhibition at Sampoerna Art House, Surabaya (2009); Scope Basel, Basel, Switzerland (2011); Insight, Art Basel Hong Kong (2013); Outdoor Sculpture Exhibition, Jakarta Contemporary Arts, Fatahillah Post Office Building, Jakarta (2014); Fiesta Old City Jakarta; Jakarta Endowment For Art and Heritage (JEFORAH, 2014). Noor lives and works in Jakarta.